The Penguins closed out the 2015-2016 season with a 3-1 defeat of the San Jose Sharks in Game Six of the Stanley Cup Final, dispatching the home team at the SAP Center with a convincing performance. The Sharks struggled to get shots on goal and the Penguins clogged things up with defensive performance that allowed them to sit on a lead and drain the clock. At one point, the Sharks managed just one shot in a period of over 18 minutes of playing time. They had just two shots on goal in the third period. The Penguins sat on possession, used a power play to lock up the puck and sealed the deal. And they managed just four shots on goal in the first period. San Jose’s best chances seemed to come in a dynamic second period, where the teams traded shots and the Sharks managed 13. Netminder Martin Jones was probably the only reason the game was even close, though, as the Penguins struggled to put the puck past him. 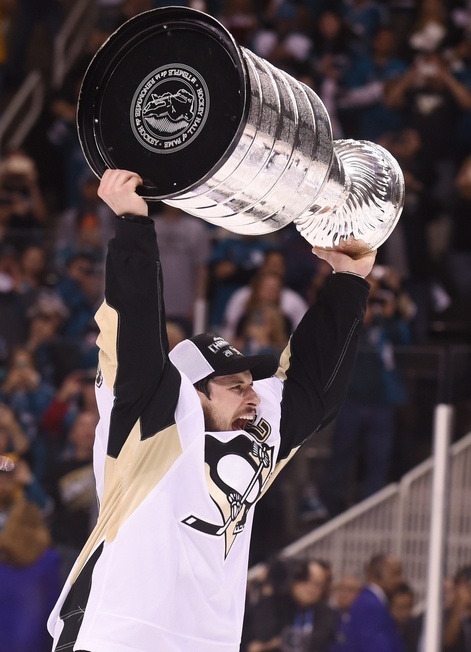 Alas, Pittsburgh secured its first Cup since 2009 and Sidney Crosby has the second in his career. He may not have put in the best offensive performance of his career against the Sharks, with just a handful of points in the series, but his line was effective. Crosby did a lot of the little things right, putting in little touch passes and playing smart defensive hockey. He had two assists in Game Six. The win marked the fourth Stanley Cup in Pittsburgh franchise history, with victories also coming in 1991, 1992 and, as mentioned, 2009. This 2016 victory was a team effort, with the Penguins successfully rolling four lines and getting away from their superstar-oriented image for a change. In Game Six, they scored first for the fifth time in the series. Brian Dumoulin, Kris Letang and Patric Hornqvist had the goals for the Penguins, while Logan Couture scored the lone marker for the Sharks. Speaking of Hornqvist, he put up a solid defensive performance with six blocked shots and four hits. Rookie goaltender Matt Murray was good when he needed to be for the Penguins, making 18 saves in the Cup-winning game. After an uneasy start in Game Five that wound up as a 4-2 loss, the 22-year-old from Thunder Bay came through and stoned Matt Nieto six minutes into the game. The save set the tone for Murray and the Penguins’ defence did the rest. Pittsburgh also found their stroke on the power play, scoring on the man-advantage for the third consecutive game after going zero for six in the first three games.